Send Ubidots events and notifications directly to your coworkers with Slack Event Webhooks. Sending notifications and updates via Slack will keep you and your coworkers informed and on-time. 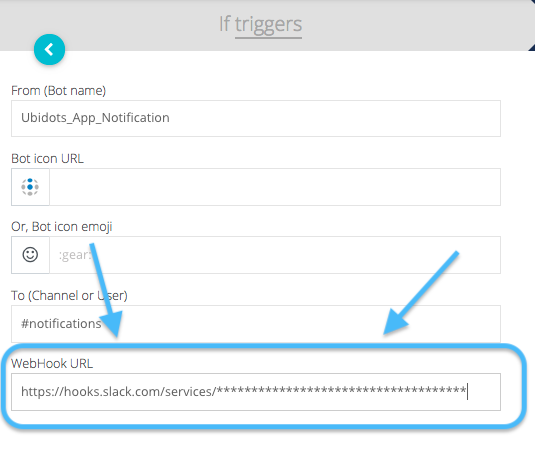 To configure Slack events from your Ubidots Apps does require a small integration using the Incoming Webhook App which is powered by Slack. 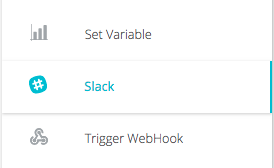 The Incoming Webhooks App is a simple way to post messages from Ubidots into Slack. The webhooks make use of normal HTTP requests with a JSON payload. 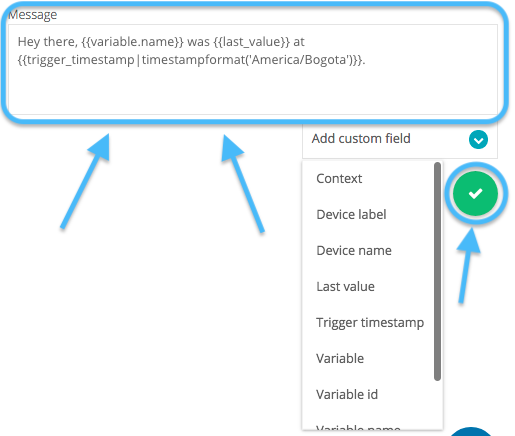 Follow the simple steps below to configure your Slack events with Ubidots and keep your office up-to-date and on-time. To create a Slack Event notification from your Ubidots App, follow the on-screen setup to creating any Event. Additional details to Event setup and when an event is triggered can be found at Ubidots Conditional Events Engine. With Ubidots Slack Events your Apps can notify a #team or any @individual team member you need. To send events to team channels or an individual use the below structure, including the symbols. BE SURE TO SPELL EVERYTHING CORRECT. To complete the configuration of the Slack event, you must locate the correct URL end-point of your private slack channel. 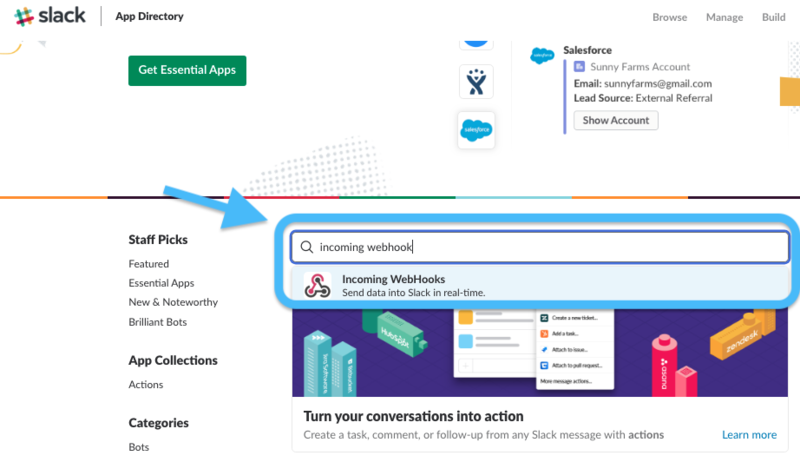 Follow the simple steps below to locate the correct URL webhook endpoint so that your Ubidots Slack Event can be delivered reliably to the correct Slack channel. 2. 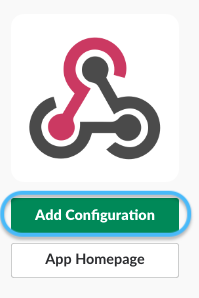 Next, create or "Add Configuration"
3. Create the Post to Channel URL by selecting which Slack Channel you would like to reach, or create a new channel. 4. Then, "Add the Incoming Wehbooks Integration"
5. Next, copy and paste the Webhook URL from Slack into the Ubidots Event Setup in your Ubidots Account. 6. Next, adjust the text or message of the Event or Notification you are sending and then press the green "✓" to save the Event. 7. Await for the next time that your data passes through the threshold and the notification to appear in your Slack Channel.